Google has this week released a new keyboard specifically designed for iOS devices aptly named Gboard which provides a handy keyboard which also has built-in search features, removing the need to switch applications. Check out the demonstration video below to learn more about the new Gboard so features that allow you to search anything you would normally jump to the Google search engine to check out. The Google Gboard iOS app is now available to download for free from the iTunes App Store via the link below. 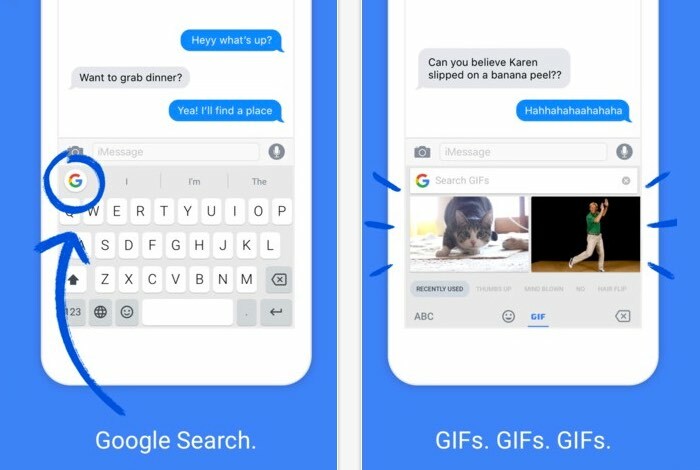 Gboard is a new keyboard from Google for your iPhone. It has all the things you would expect from a great keyboard — GIFs, emojis, and Glide Typing — plus Google Search built in. No more app switching; just search and send, right from your keyboard. – When you do a search, Gboard sends your query to Google’s web servers so Google can process your query and send you search results. – Gboard also sends anonymous statistics to Google to help us diagnose problems when the app crashes and to let us know which features are used most often. – Everything else. Gboard will remember words you type to help you with spelling or to predict searches you might be interested in, but this data is stored only on your device. This data is not accessible by Google or by any apps other than Gboard.